"People say that I look 10 years younger, and I feel younger. I would highly recommend Dr. Snyder's practice to anyone!" A denture is a denture – right? Wrong! Not all dentures are created equal. Many dentures feel insecure in your mouth causing slippage or clicking, when speaking or eating leading to more messy adhesives to help them stay securely in place. Oftentimes the end result is a collapsed face, abnormal speech, and teeth that look unnatural. Dr. Snyder’s dentures are different. They not only feel good, they look good and function much more like your own teeth for a healthier, more youthful look. 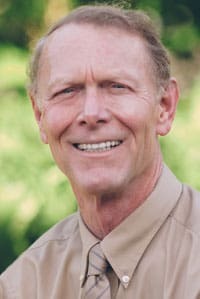 Dr. Snyder will listen to your goals and even consult past photos to help recreate a new look from your old smile that’s natural, radiant, appealing. These breakthrough dentures offer comfort and convenience never before possible. Computer designed with CAE/CAD/CAM technology, they are also digitally manufactured for a precision fit in as little as two appointments. AVADent dentures are made of patented materials that are denser than most denture materials. This high-tech material resist bacteria, lessens bad breath, and reduces the sores denture patients often experience. And because everything from the impressions to the manufacturing is digital, all records are easily accessed for reproduction of a lost denture or upgrading to implant retained dentures. 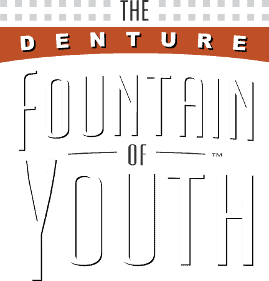 Fountain of Youth Dentures™ are created based on neuromuscular dentistry principles, which Dr. Snyder has studied extensively. The goal of neuromuscular dentistry is for all components of your mouth – the hard tissues, soft tissues, muscles and nerves – to work harmoniously. FOY Dentures support each of these areas for the best fit and function. FOY Dentures rest partially on the muscles to stimulate your jawbone. Dr. Snyder strategically places them in a position where your muscles function optimally and your facial structure is best supported. That means your dentures look fantastic and function much more the way nature intended. If you are tired of the misery of traditional dentures, please call Dr. Beth Snyder and talk to us about your options today. Before I came to Dr. Snyder’s , I guess you could say that I considered my teeth and the condition of my mouth a lost cause. I had trouble with my teeth since I was young – lots of cavities, root canal procedures, and extractions. By the time I decided to go to Beth’s office I really did not have many teeth left. Naturally this condition made chewing food properly impossible. I rarely smiled, and if I did, it was with my mouth closed,or with a convenient hand covering it up. I know when I had conversations with people, I could sense I was making them uncomfortable. Dr. Snyder assured me that she had seen every type of oral condition and put me at ease. Dr. Snyder was professional without being “academic.” I never felt pressured into making any decisions. This is not an assembly line practice. Nothing is rushed. I knew I could relax since I was in excellent hands. Now I can smile, actually smile again. The dentures feel and look great!. People say that I look 10 years younger, and I feel younger. I would highly recommend Dr. Snyder’s practice to anyone!